At Earth Diggers we believe in continuous growth of standard and quality. 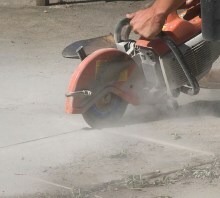 Thus for Concrete Cutting Elizabeth we are adopting new and advanced techniques that will help our clients by providing a flawless service. Training and workshops are held discussing methods for improvement. Our team of experts research to find the best machines available for providing concrete solutions. The concrete cutting differs according to areas and purpose. The area is inspected before the beginning of the work. Professionals are there to sort out the entire work plan, decide the cutting pattern and angles and get the work completed on time.